General Admission (8pm) = £15.00 adv. Meet & Greet VIP (7pm) = £25.00 adv. Mari's underground songwriting is brilliant, touching on subjects of social convention, rebellion, love, anxiety, and the power of the imagination, while her vocals excel in expressiveness, ranging from child-like innocence, to cries of despair. Yayoi keeps a wicked beat, and moves with the grace of a dancer/warrior/superhero, contributing to a live show that is simultaneously theatrical and earnest: certain to delight alt-rock fans and lovers of the Japanese underground wherever they may be found! 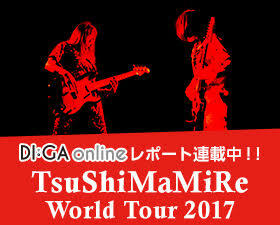 Over a period of 18 years, Tsushimamire has released 13 albums and given about 1800 shows all over the world. They have an inventory of approximately 150 original songs, featuring a wide variety of themes and styles. Their music has sometimes been used by TV shows, movies, and games. "NEW", on 25 Oct 2017.